Seán O’Sullivan (1906-1964) was a Dublin born painter known primarily for his portraits which featured prominent figures such as Éamon de Valera, Douglas Hyde, W.B. Yeats and James Joyce. He attended the Dublin Metropolitan School of Art before gaining a scholarship to train in lithography at the Central School of Arts and Crafts in London under Archibold Standish Hartrick, finally travelling to Paris to study painting at the Académie Colarossi and the Académie de la Grande Chaumiere. 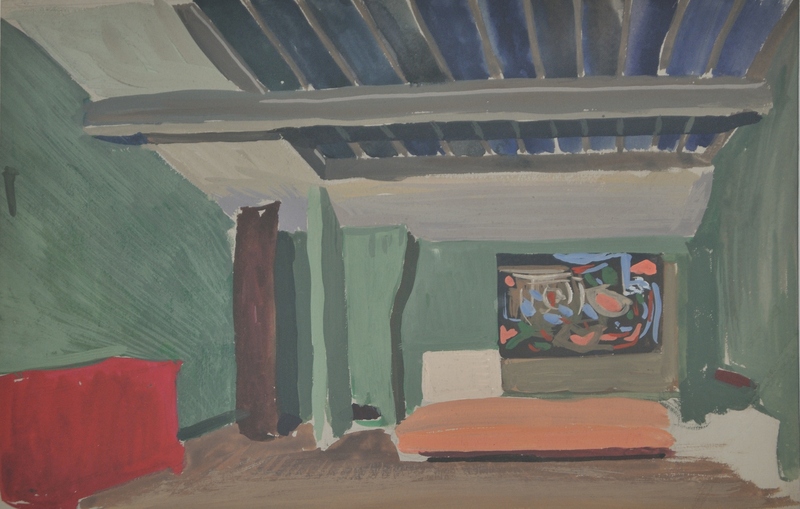 The artist was well-connected within the Dublin social scene at the time and was friendly with many of Ireland’s reputable members of the artistic community, including Maurice MacGonigal, Harry Kernoff and Patrick Kavanagh. 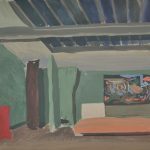 O’Sullivan’s other endeavours included designing postage stamps, teaching at the Dublin Metropolitan School of Art and book designing and printmaking, along with painting murals and several landscapes. He exhibited regularly with the Royal Hibernian Academy and was elected a member in 1931.